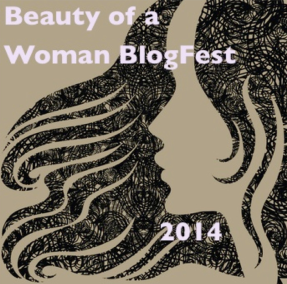 Thanks to August McLaughlin for hosting her Third Annual “Beauty of a Woman” Blogfest, which prompted this post. Visit her blog starting February 27 to read all the entries. It has always seemed to me that people I care about are more attractive to me than strangers. Looking for confirmation of this, I found a couple of interesting videos. One was titled “How to Make People Think You’re More Attractive Than You Really Are.” Leaving aside the issue of how one assesses one’s own looks, I was interested to find that instead of talking about plastic surgery or makeup, it recommends such things as standing up straight, making eye contact, and smiling. It seems that the idea of a known person appearing more attractive applies even to oneself, as the video below shows. Four ordinary women received professional makeovers and posed for modeling shoots. You may be surprised to learn that they preferred their pre-makeover selves, replete with curves, freckles, and less-than-perfect hair. One reason? They didn’t recognize their made-over selves. My non-writing work as a birth doula affords me the great privilege of being with women at their most vulnerable: when they are giving birth. Very little about how women look when they give birth matches our cultural norms of beauty. While a few women (usually those who opt for pain medication) may be able to carry on with the application of lipstick and maintenance of their coiffure, for the vast majority of women, the process of giving birth is one of complete surrender. Birth is an utterly physical act that, paradoxically, causes women to become completely unaware of their physical selves. My doula partner jokes that women “lose one item of clothing for every centimeter of dilation” until, by the time they give birth, they are usually completely naked. I find this surrender and vulnerability unspeakably beautiful. Unless you are a mystic or a religious devotee, it’s the closest you can get, while alive, to the divine. And it has nothing to do with flat bellies, perfect cheekbones, or lush tresses. You can see some photos here of women giving birth (G-rated), courtesy of Babble.com. Sometimes, when I finish yoga class and lie like a corpse on my mat, I’m able to completely lose awareness of my body. I literally cannot feel where I leave off and the floor begins. I see colors behind my eyelids but they are not my colors; some larger Eye sees them. I hear the sounds of the room, but I am not hearing them; some larger Ear hears them. I live for these moments, because in them I no longer feel separate. I feel part of something larger, something far more significant than the particularities of my physical body and even of my mind. This is true beauty: a connection to the universe that transcends the physical, emotional, and intellectual limitations of humanity. I added this section because I recently read a wonderful blog post by my good friend Jennifer Browdy de Hernandez. In it, she talks about a new short film, “Selfie,” in which teenage girls—through a guided process of taking and displaying selfies—come to see new possibilities for how to define beauty. You can watch the 3-minute version below. This is lovely! What an extraordinary perspective on women, love and beauty, to be a doula! Thank you. I always feel so honored to be a witness to such amazing moments in women’s lives. Beautifully written and such a heart affirming message. I hope to experience that connection to something greater as I (re) start my yoga practice. I hope that happens for you too! There’s nothing like “just” breathing and quieting the mind to open us to the possibility of connection. Great post Audrey! I love that beauty of being moment where you cease to be separate. Very cool. It is an amazing moment. And sometimes accessible through writing! This is one of my favorite posts ever, Audrey. Wow! Those are powerful, awesome videos. Sharing your doula perspective on women giving birth is wonderful. My pregnancies were some of the happiest times of my life, when I felt so beautiful. How well I can relate. Thank you for sharing this post! I agree. There is something about being pregnant–and realizing that your body has a purpose beyond carrying around your own insecurities–that can be tremendously liberating. Love those videos, Audrey! Very moving. Your eloquence in writing about a woman’s true beauty shines in this post. I love the image of this phrase: “a connection to the universe that transcends the physical, emotional, and intellectual limitations of humanity.” Perfect! Thank you for the kind words. I do feel this particular kind of beauty isn’t limited to women–but I wanted to honor August’s intent with the Blogfest! Thanks for reminding me to spend a bit of reminiscing time. Ah, I have a photo chronicle of my kids’ births too. Wonderful reminders of an amazing journey… if not material for the cover of Vogue :-). Glad this post helped you reminisce. Though I haven’t had the experience of childbirth (as the one giving birth or witnessing), I did watch my mother go through a pregnancy with both of my little brothers. It was absolutely beautiful and fascinated me, even at eleven. I loved watching her grow and connect with something I couldn’t even see. More so, I loved the little creature that came out of her body. Though we lost the youngest, Franklin, I still have a wonderful gift (Vincent) from my mother that I can see everyday and thank her for everyday. Loved your perspective on BOAW, Audrey. You are lucky to have seen your mother go through pregnancies. So many of us never have that opportunity–our own pregnancies/births are the first we’re familiar with. That familiarity will serve you well if you decide to have children of your own at some point. And I’m sorry for the loss of the youngest. That’s a hard loss. Thank you so much for the condolences. And you’re right; my mother’s pregnancies have been so beneficial. I’m 28 and have watched my brother grow into the young man he’s become, but I’ve also helped raise him into that young man. It’s definitely helped me as a person and hopefully will help me as a mother when I’m ready. Wow! I have tears right now. Those were probably two of the most powerful videos about acceptance that I’ve seen in a long time, and it moved me. For years I’ve been frustrated watching my friends question their beauty, their desirability and I’ve struggled with trying to find ways to show them how lovely I think they are…just the way they are. What these videos did was so powerful Thanks! I’ll be sharing this post, for sure. I’m happy that you found such power in the videos–they affected me deeply, too. And I hope that sharing them can help you spread the message far and wide. It’s a message we all need to keep hearing. Could not agree more! What you wrote worked so well with the videos. The whole thing spoke to me. Bless you for sharing. Love those videos, Audrey. And the whole post! Just love it!!! Thanks so much. Believe it or not, this was the first time I used video in a post! It’s so easy, I’ll have to do more of it (though not so much as to become annoying). Wow, what a thought provoking post and loved the videos. Thanks so much for sharing. I love this new generation for not falling for the false sense of beauty our culture tries to perpetuate. And I really, really related to your words about how when a woman who gives birth is at (or can be) at her most ‘real.’ I studied midwifery in my 20’s and always wanted the visceral (even surreal) experience of birthing at home. I wanted that reality of, as you say, pure surrender…what a divine experience that I feel sad to have missed entirely due to infertility. oh well, maybe next life time! Oh, thank you! I had no idea you studied midwifery. I’m sad too that you feel you have missed out, but you are birthing in other ways… not as visceral, perhaps, but just as valid. And there are other ways to surrender. Oh yes…myriad ways to surrender…so many opportunities and such a deep experience. So true! This is such a clear and powerful statement within this blog post, that it nearly made me cry. So special!! Thanks, I’m glad it touched you. Really fantastic post, Audrey. I love how you connect with beauty on such a universal level. Thank you so much for sharing all of this. Thank you! I’m glad it resonated with you. “The Beauty of Being” resonated with me as a yoga practitioner. Thanks for sharing the last video, because I had a bias against “selfies” thinking they were about young women being self-absorbed. Not so! I do think many “selfies” still fall in that category, but I hope projects like this can start to shift things. 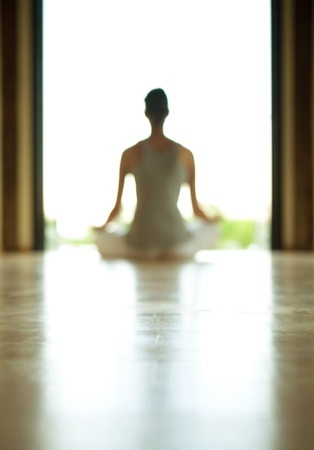 If only more people practiced yoga, perhaps there would be more devotion to the inward rather than the outward. Oh, I loved the selfie video. A friend recently said that when we avoid allowing pictures of ourselves, we are depriving our family of moments later in life where we participated in events. They aren’t looking at how we look but rather reliving the moments. Great Post! Your friend voiced a great perspective. I think we tend to obsess over our looks much more than others do–certainly much more than our family members do! I guess you’ll have to rely on lipstick and plastic surgery, then 🙂 Seriously, though, being lost in your thoughts can be a great place to be. It means you’re not obsessing over what other people think of you, and that can be a good thing! Such an insightful and poignant post, Audrey — thanks so much for participating in the fest! I loved the whole thing, but this line most struck me: “This is true beauty: a connection to the universe that transcends the physical, emotional, and intellectual limitations of humanity.” Indeed!